Holiday channel not released yet for 2011. Get ready and get a Roku now. Roku launched their Holiday channel. Within, you can get holiday music, trailers, recipes for holiday food and – of course- a Yule Log. Well, it’s 19 minutes of logs burning in the fireplace. 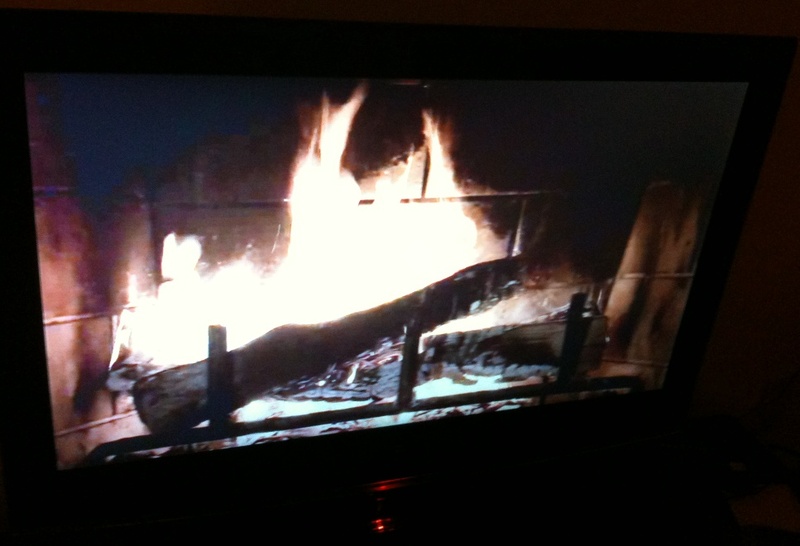 Besides the fact it has to re-download every 20 minutes, it’s not a bad representation of a good winter fire. For someone like me who used to have a fireplace, it really makes me miss it. The holiday radio station is sponsored by TuneIn radio. It features 25 channels of holiday music to listen to. So if you’ve heard enough “Santa Claus is Coming to Town”, you can switch it to another station. Flixter has the Holiday Movie Trailers, however, I am a bit dissapointed in it. The first trailer is “It’s a Wonderful Life”. The trailer is the Turner colorization commercial and only is 10 seconds long. White Christmas is the song – not really a trailer. Stuck in the middle is a trailer “Love Actually” that is not really a classic holiday movie (heck, I didn’t even know about it til just now). CHOW gives you tips on making your favorite holiday foods. They also give you tips on making holiday dishes. I didn’t know you could make potatoes wrong – Then again, I just get the flakes.